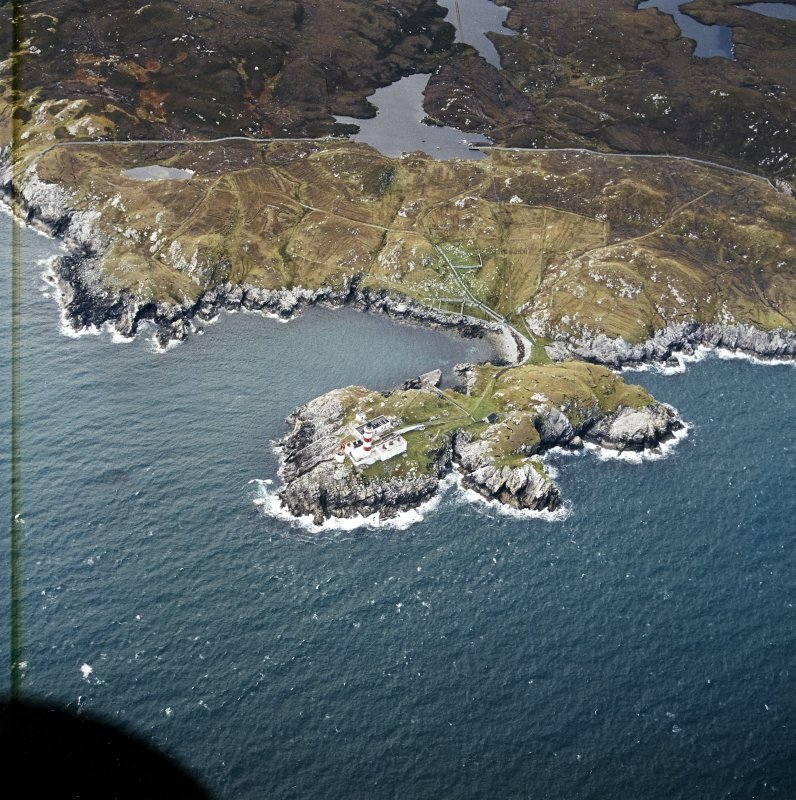 Oblique aerial view centred on the lighthouse with the head-dyke, field system and lazy beds adjacent, taken from the E.
Oblique aerial view centred on the lighthouse with the head-dyke, field system and lazy beds adjacent, taken from the ESE. 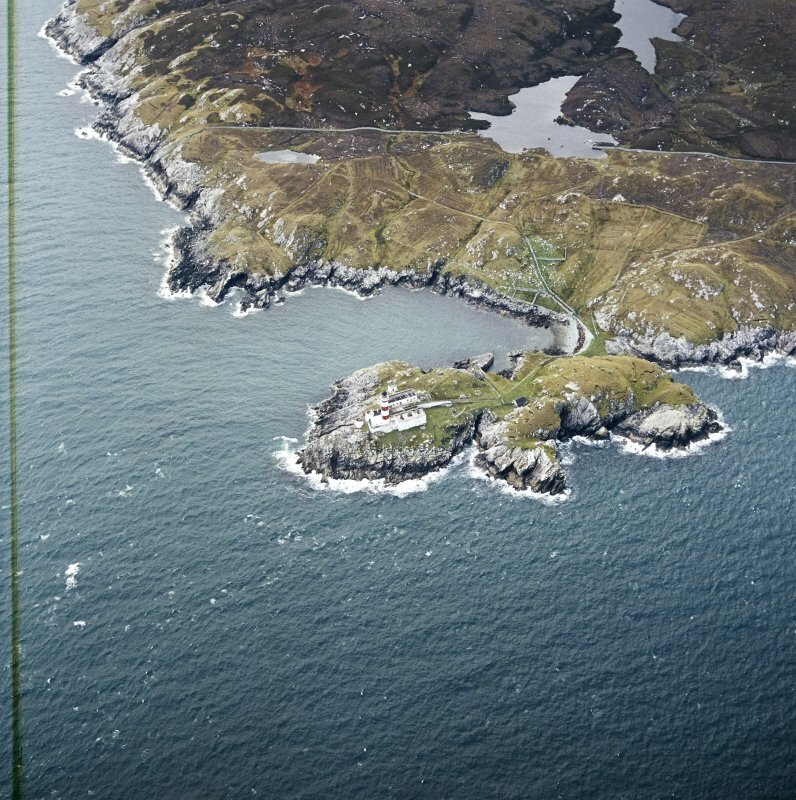 View of Eilean Glas lighthouse complex, Scalpay, from W, showing (left to right) keeper's house (W), new tower (centre), bank of air receivers, old tower, and fog horn. Detail of reflecting glass mirror. 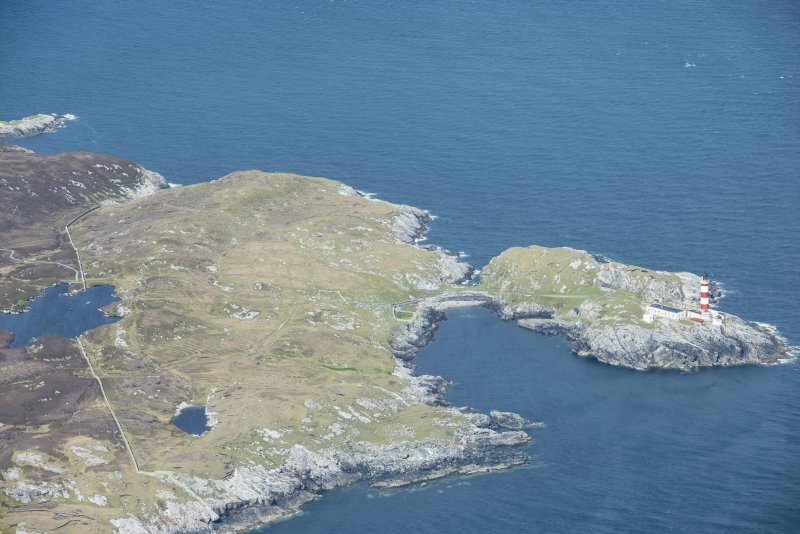 Oblique aerial view centred on the lighthouse and the remains of the head-dyke, field system and lazy beds, taken from the SSW. 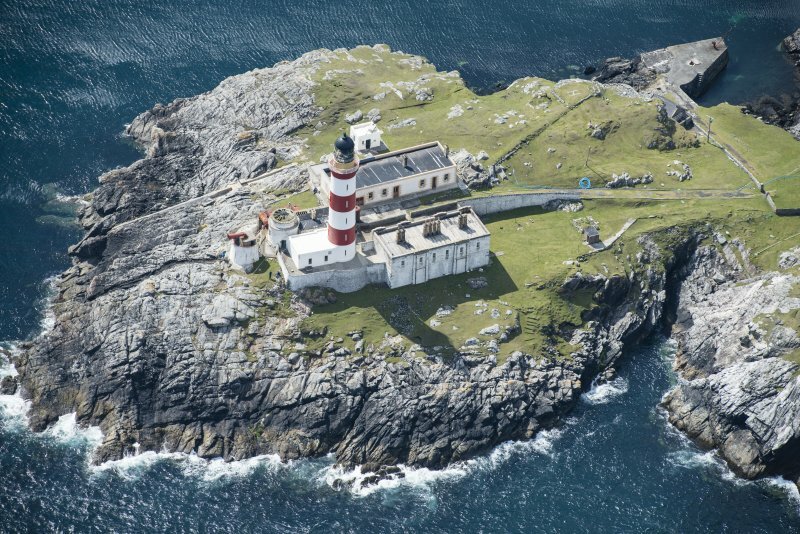 Eilean Glas Lighthouse, 1789, Robert Kay, with Thomas Smith; remodelled, 1824 , Robert Stevenson One of the four earliest lighthouses constructed by The Northern Lighthouse Board (established in 1786) and for many years the only lighthouse in the Western Isles. William Daniell, who stayed a night here in 1818, described Kay's original tower (which survives as a stump) as 'extremely well constructed'. 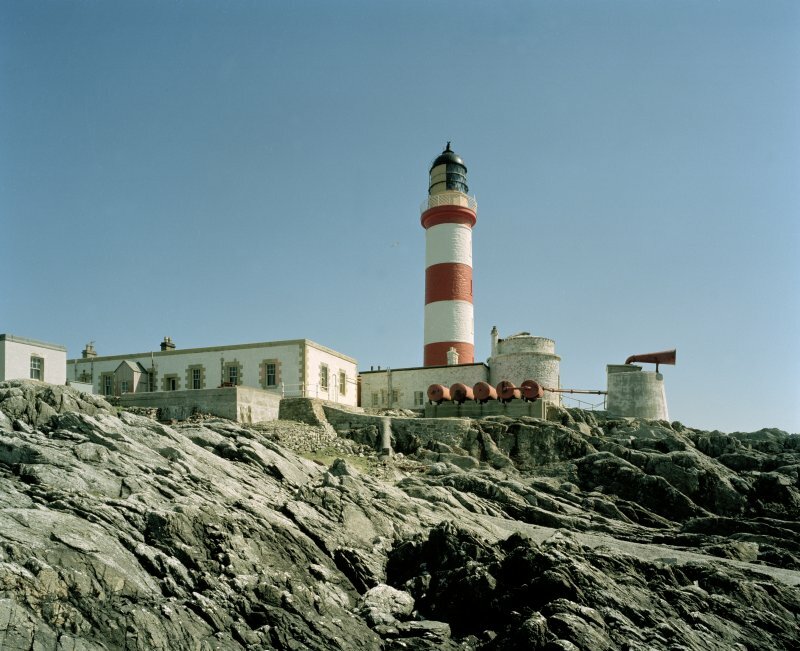 It was installed with Smith's new purpose-built light reflector (now in the National Museum of Scotland). Of the simple stone cottage, Daniell wrote: 'few abodes, it may be imagined, can be more lonely and dispiriting'. 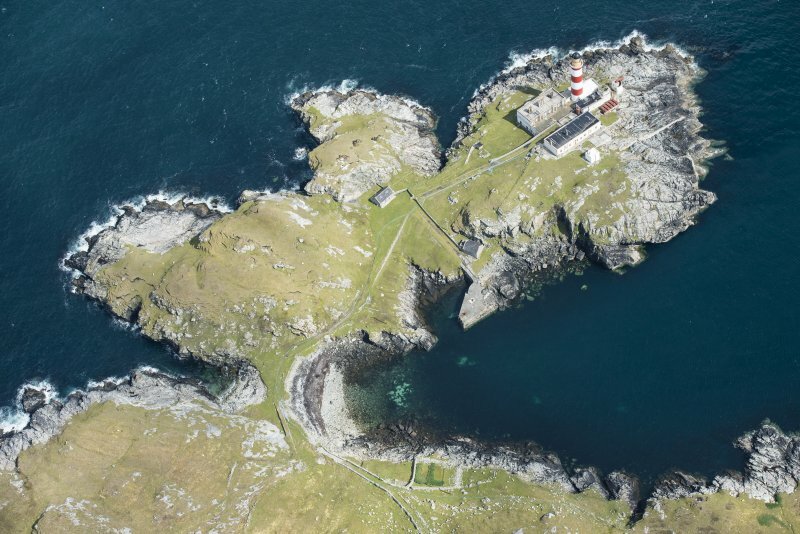 These early structures were succeeded by a tapering, five-stage column and pair of flat-roofed, granite keepers' cottages, with prominent chimney stacks and bold Graeco-Egyptian detail in the manner of Alan Stevenson's Ardnamurchan and Barra Head Lighthouses. 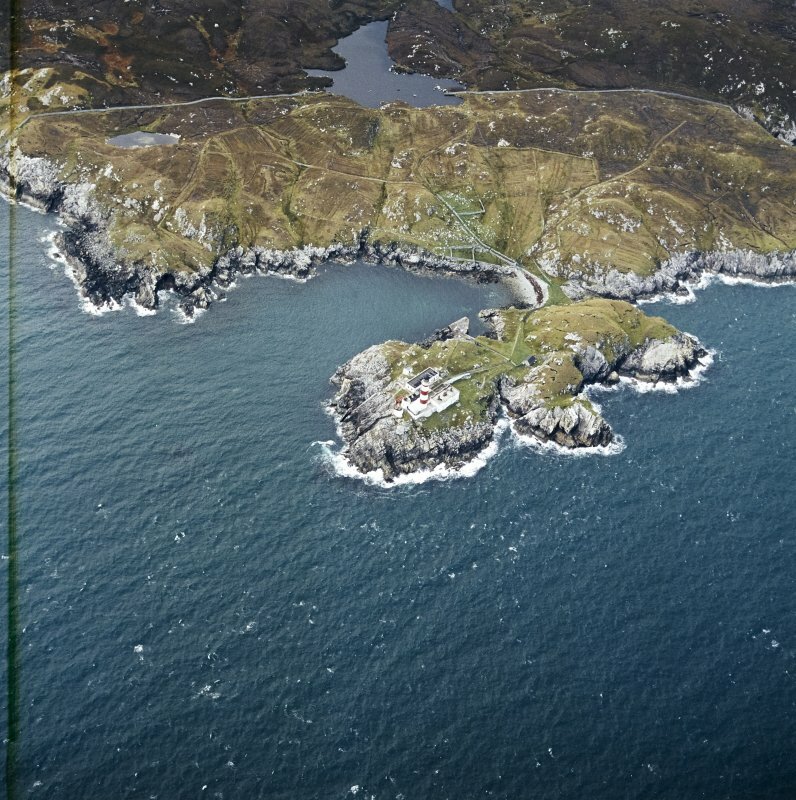 A parallel concrete range comprising principal keeper's house, radio and engine rooms, was added to the north-west in 1901. 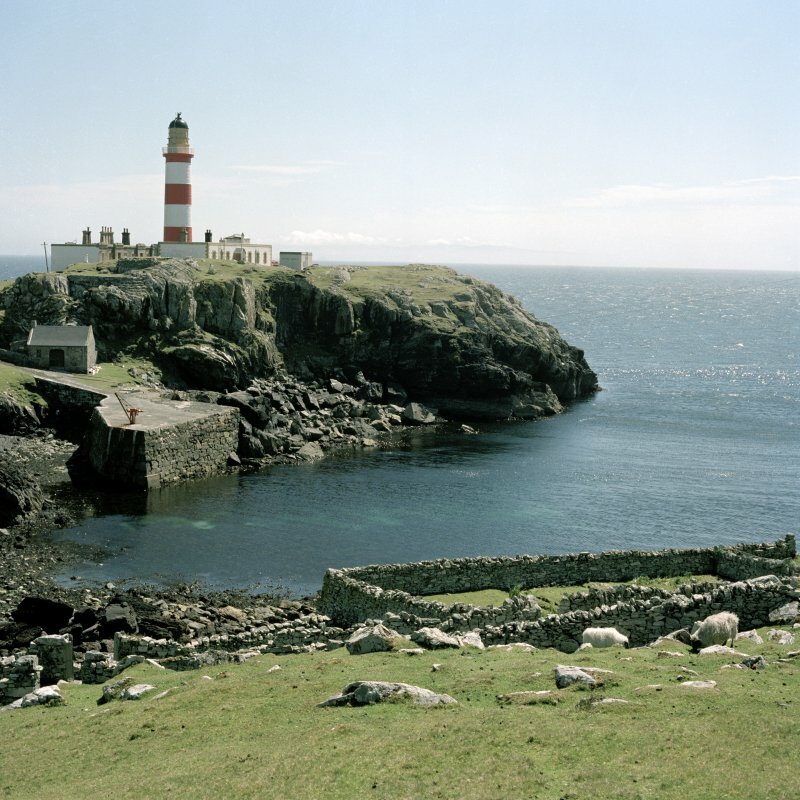 Although the lighthouse is no longer manned and Eilean Glas is inaccessible by vehicle, its pier and outbuildings, and the neat stone walls traversing the salty, sheep-cropped grass, are unexpectedly well-maintained. 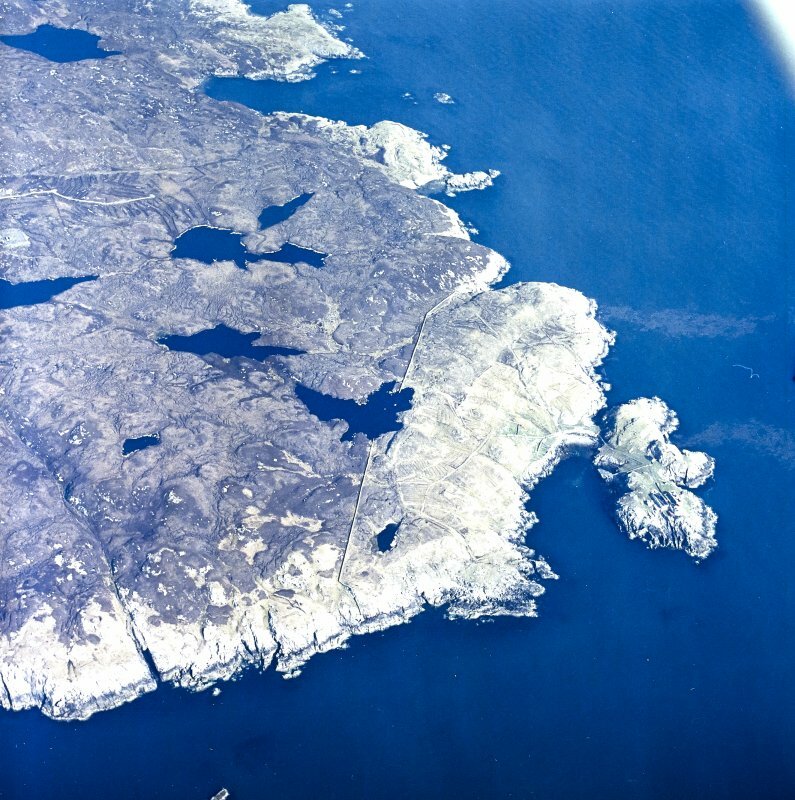 (Listed as Scalpay, Eilean Glas, in East Loch Tarbert). 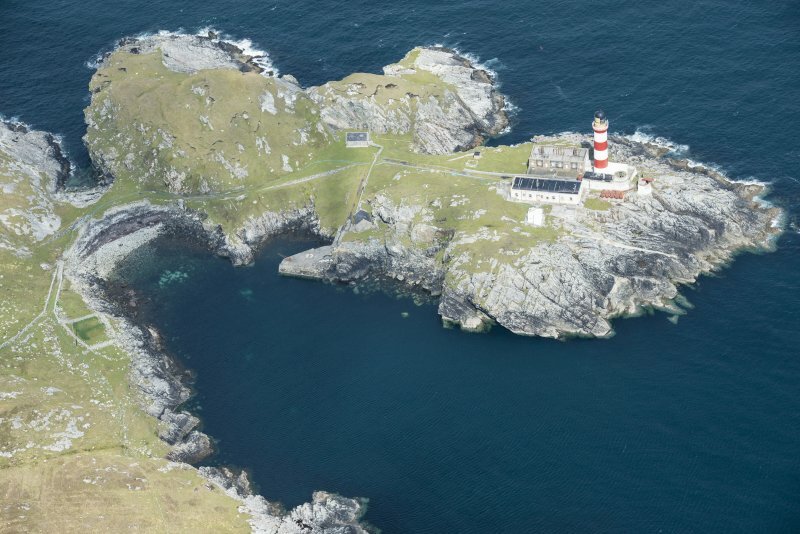 The first lighthouse on Eilean Glas was one of the first four built by the Commissioners of the Northern Lighthouse Board (established 1 August 1786). 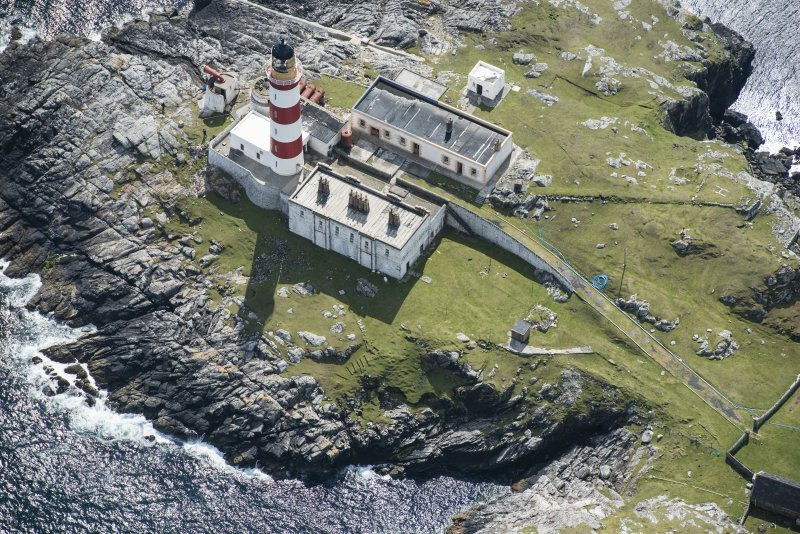 Construction started in 1787/8, the lighthouse being completed by engineer T Smith to a different (broader) design than that planned so as to accommodate work carried out by the local landowner. 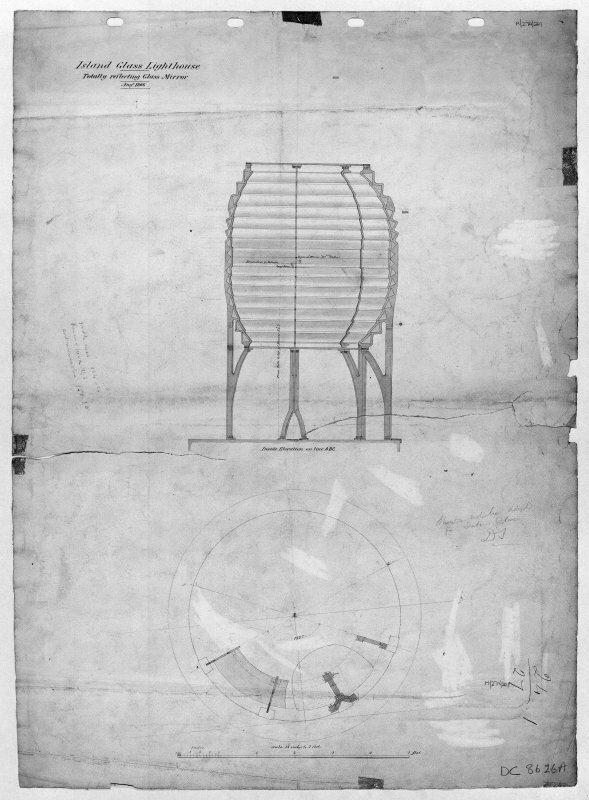 These early lights were made as simple as possible; the lightrooms were of timber construction, and only fixed lights (burning whale oil in front of a parabolic reflector) were displayed. In this case, the lightroom was set 25ft (7.6m) above ground level, to place it about 73ft (22.3m) above sea level. 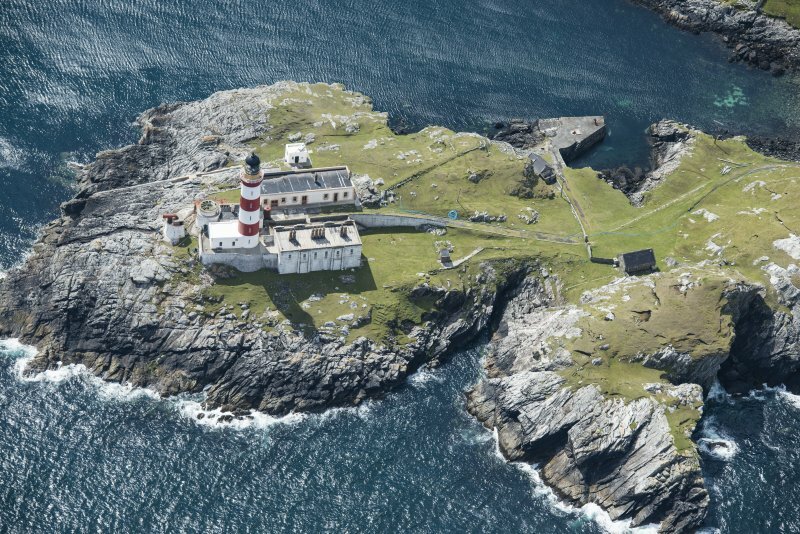 This lighthouse was one of five early stations to be rebuilt between 1821 and 1830, in a more permament form and in accordance with the Commissioners' policy of 'national establishment'. Robet Selkirk, the chief builder of Robert Stevenson's 'Bell Rock team' was in charge of operations. 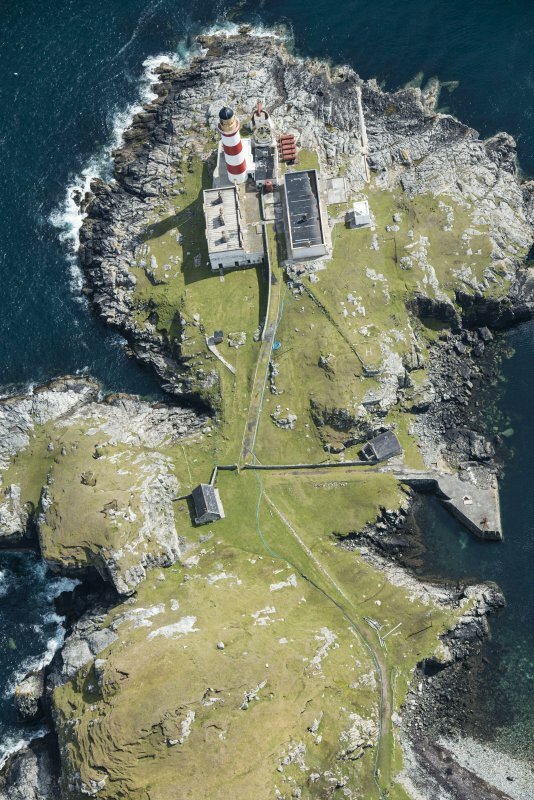 In 1846-7 the Commissioners employed 50 starving labourers, and all those dependent on them' to build an unnecessary road to the lighthouse. The lens system was converted to a dioptric or catadioptric system in 1852, and the tower has also been painted with red bands. The power of the lantern was greatly increased in 1907. 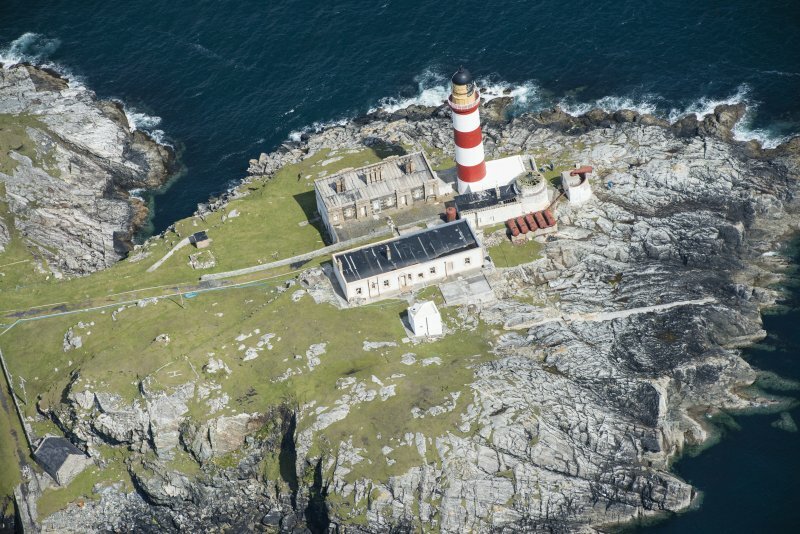 The light was listed for conversion to automatic operation in 1979, and is now a major automatic station. R W Munro 1979; K Allardyce and E M Hood 1986; B Bathurst 1999. 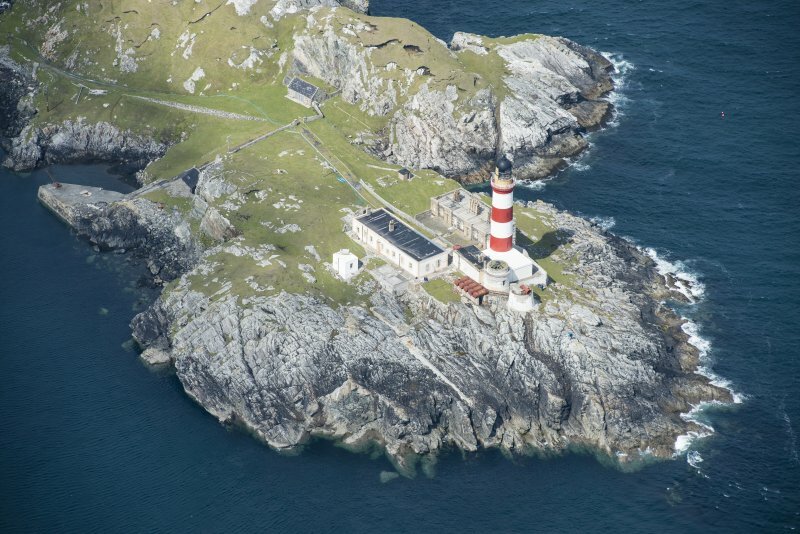 This was one of the four first lighthouses in Scotland. Begun in 1787, the lamp was first lit on the 10th October 1789. The current tower and dwellings date from c1826 (engineer Robert Stevenson). The light had been automated, the dwellings were unoccupied and the old tower and house were in a bad state of repair on the date of visit. 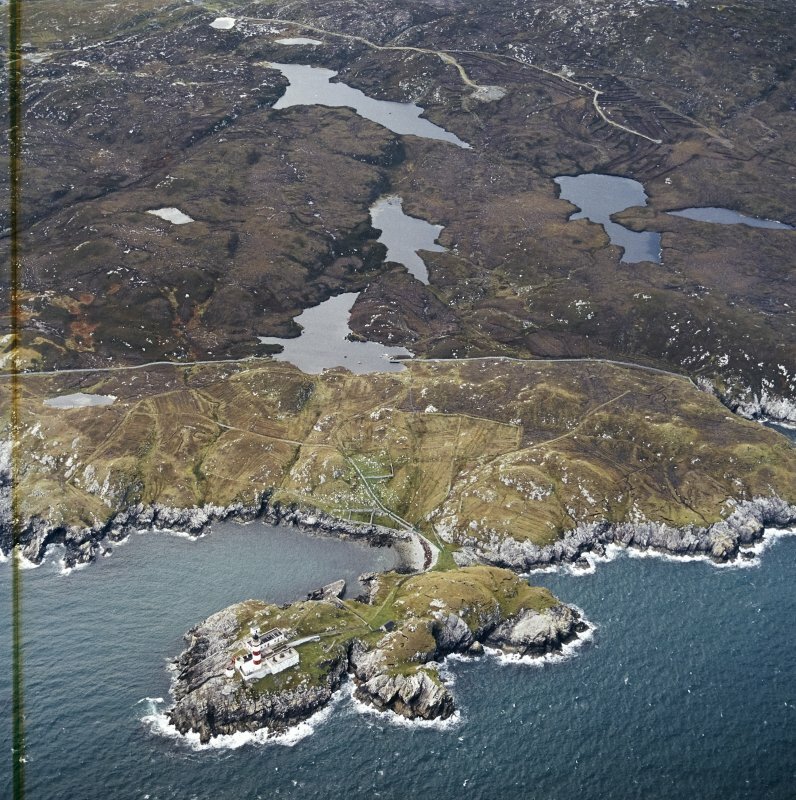 Visited by RCAHMS (MKO), 3 June 1997. 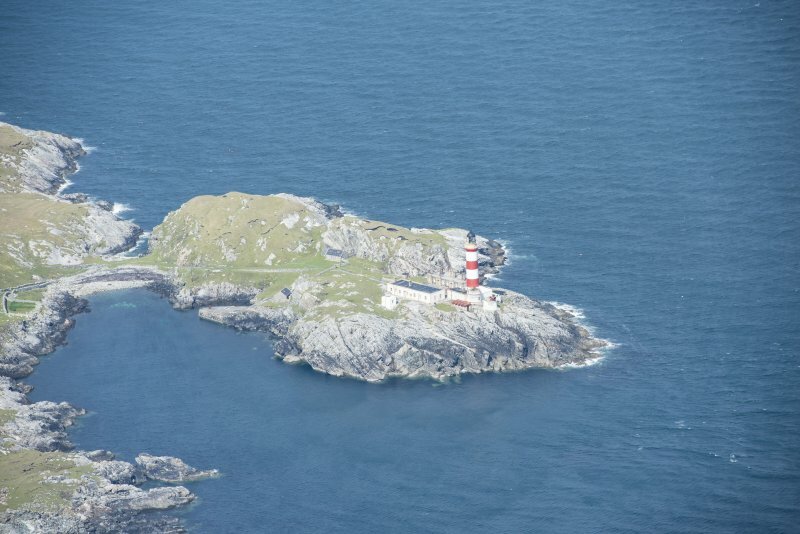 A condition survey of the Eilean Glas lighthouse complex, Scalpay, undertaken on behalf of Comhairle nan Eilean Siar on 4 and 5 June 2015. 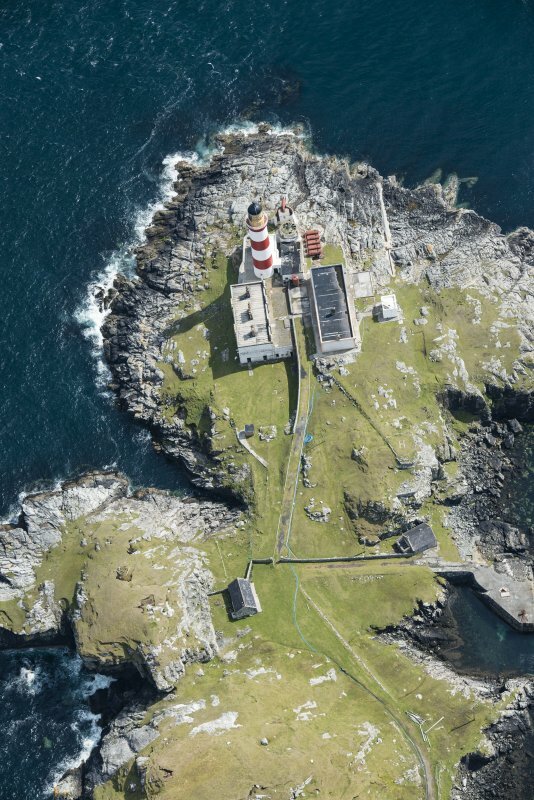 Designed by Robert Stevenson to replace the Old Lighthouse (268310); constructed 1824. In 1852 the light was changed to a revolving system lens; in 1907 it was further upgraded to a flashing light. The light was automated in 1978 . 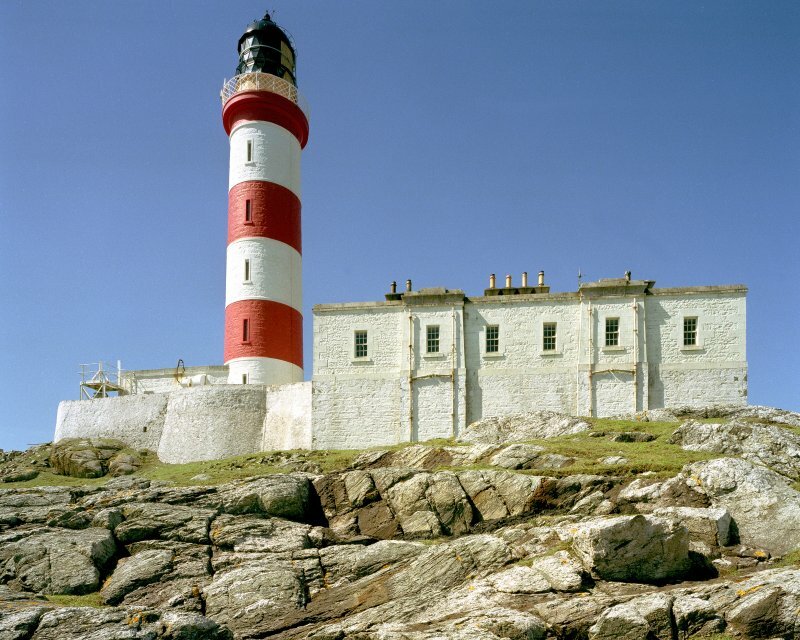 Building consists of a tall lighthouse tower adjoining a flat-roofed single-storey engine and maintenance block. 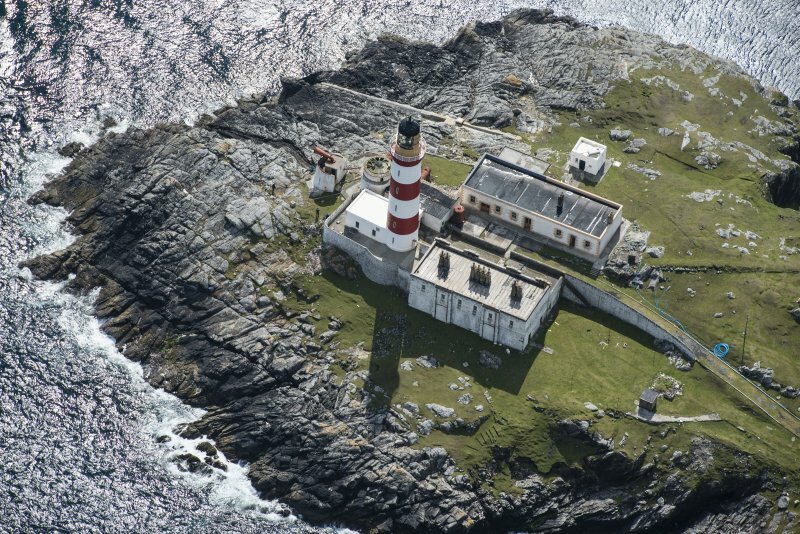 One of the first four lighthouses constructed by the Northern Lighthouse Commissioners, construction began on Eilean Glas lighthouse in 1787 . It was first lit on 10 October 1789, and the site has continued to operate through successive phases of development to the present day. 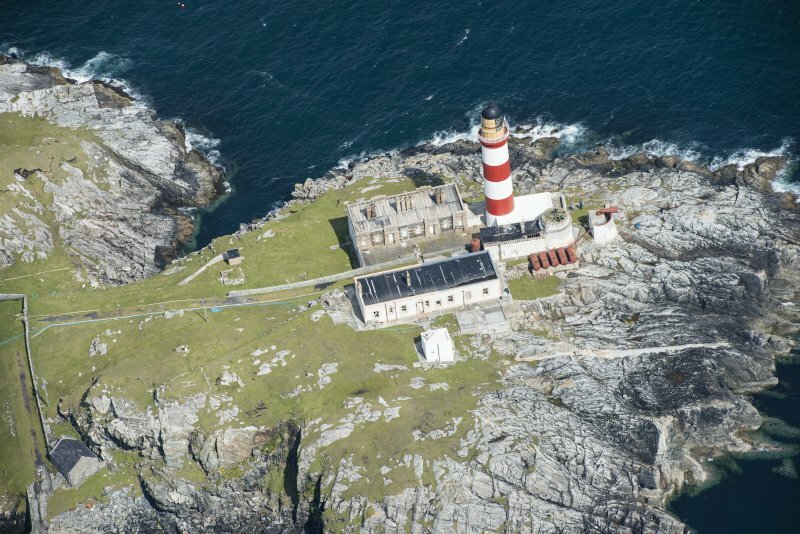 The development of the lighthouse can be summarised in four phases: the construction of the first lighthouse and associated buildings in 1787-9; the construction of the second (current) lighthouse and associated buildings in 1824; the construction of a new keeper’s cottage and foghorn in the early twentieth century; and the development of technological infrastructure during the twentieth century, including aerial masts and the helipad. This structure dates from the second period of the site’s development. 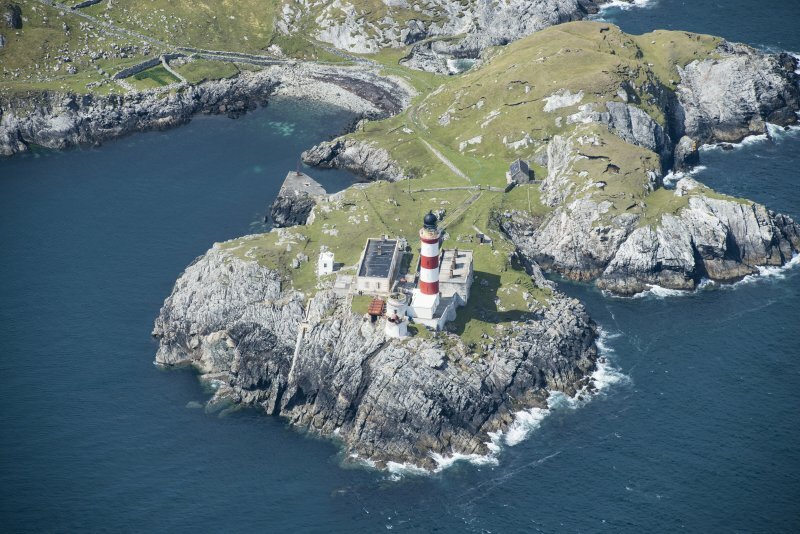 This began in 1824, when the new (current) lighthouse was built (118898). This was accompanied by new keepers’ cottages (268311), which were constructed over barrel-vaulted stores, and accessed via a courtyard to the west, itself built over large water cisterns (350405). The old lighthouse and keeper’s cottage were heavily altered at this point: the height of the tower appears to have been reduced, presumably to avoid interference with the beam of the new light, and the cottage was converted to a store. Access to the complex was moved, now coming up to the courtyard level on a ramped road from the pier (350416). From this period also date the boundary wall and byre with associated water cisterns (350443 and 350445). 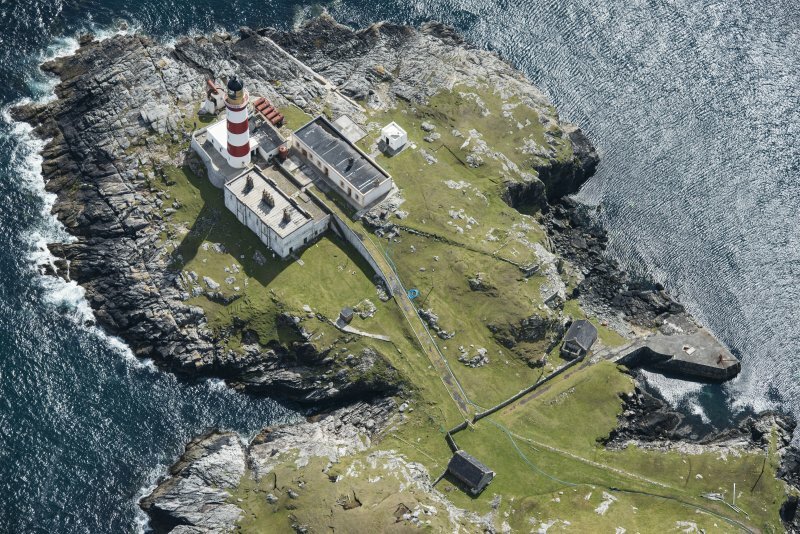 The lighthouse was automated in 1978, which resulted in the majority of structures on the site no longer being required by the NLB . In 1982 and 1984 these were sold into private ownership . 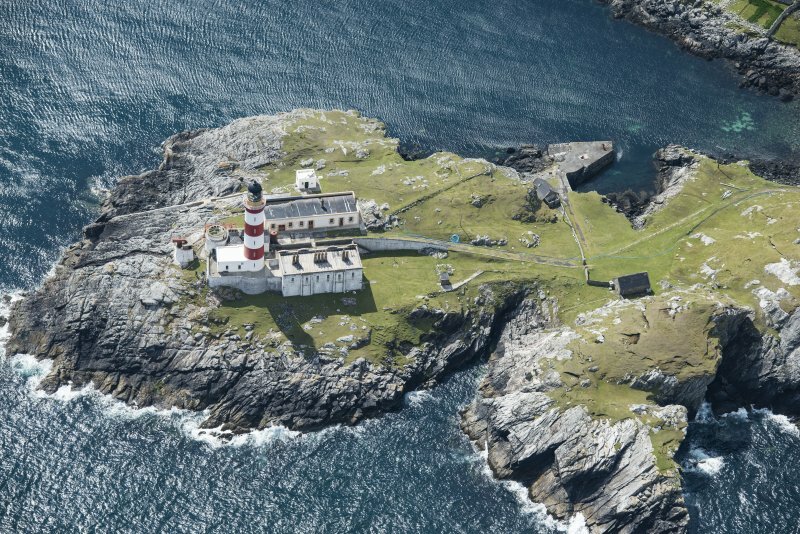 At this point a modern foghorn and an aerial mast were still operational; these have since been decommissioned.